Third Mind | RCRD LBL: What to Listen to. Wherever. 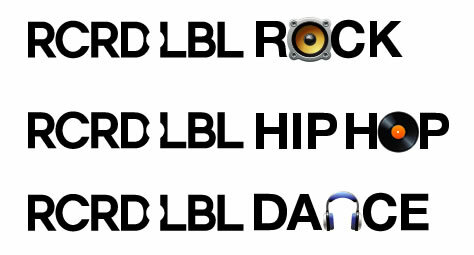 RCRD LBL: What to Listen to. Wherever. How does one disrupt the premise of the ‘record label’ system, when the system has been entrenched since the 1930’s? Well. In 2007, partners Josh Deutsch, Peter Rojas, and creative director Elliot Aronow developed a new vision to overtake a usurious system. 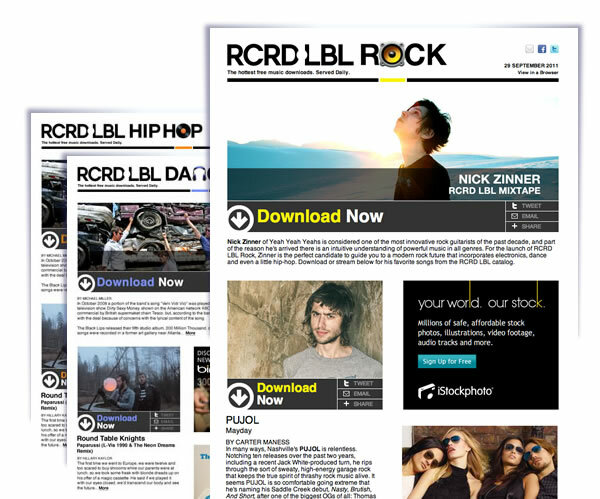 RCRD LBL was developed to deliver free daily curated music on its website, through its content partners, and directly to you, on the RCRD of the Day daily email newsletter. Third Mind was brought into the mix as an early collaborative partner to get the digital ball rolling. BORN UNDER PUNCHES: Can a firm survive on free tunes? The Wall Street Journal asked the question and RCRD LBL sought an answer by focusing on the artist first. Find the emerging talent, curate and share the talent, let the talent shine. Carefully handpicked and art directed content, routed through in-house curator / bloggers, led the charge by releasing 1000’s of free tracks and rarities from their artist partners. Millions of free downloads and plays became the building blocks for their passionate following and their shades of big data assessment and parsing to come. TAKE ME TO THE RIVER: So where do you start? “Music” is a word encompassing entire universes and ecosystems of subcultures. In partnering, we advocated a methodical approach: let’s build on an initially segmented foundation while keeping our focus narrow. We can expand and further segment after we build our dedicated audience. An audacious plan was born: Can we segment ALL of RCRD LBL’s artists into 3 genres? We were ready to try. Let’s start with Rock, Hip-Hip, and Dance as the segment markers. With segmentation, design, and strategy in place, it was time to build outreach tools to evangelize the message. The teams focused on three technical segments: Daily Newsletter development, App development, Rich-media advertising campaign development to get the word out. Content management systems and documentation. Hat’s off to the visionaries; sometimes it doesn’t pay to be first in the market. It’s always hip to be the coolest in the market. Thanks RCRD LBL!